Winter Spring, FL, November 8, 2018 -- Kellyco Metal Detectors, the premier metal detecting retailer, is excited to announce the next chapter in its history. 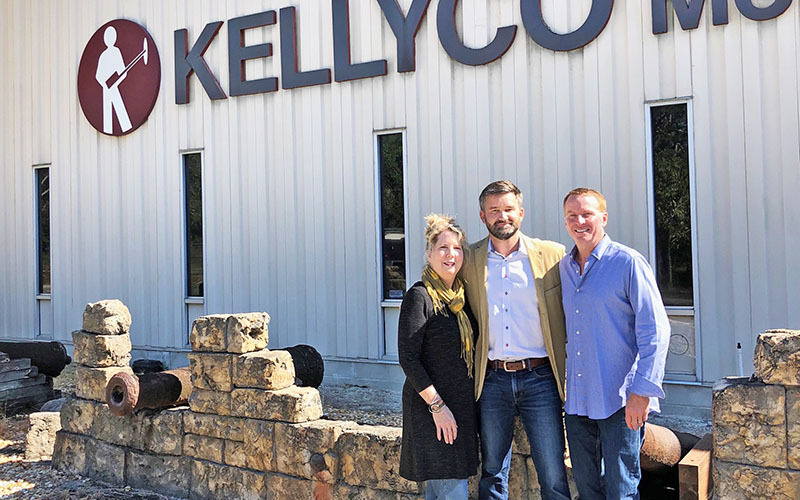 The Auerbach family is entrusting the legacy of the esteemed Kellyco brand to family friends and investors Jordan Mollenhour and Dustin Gross of the Knoxville-based investment firm, Mollenhour Gross. Given their long time horizons and generational mindset, the Auerbach family believes this new home will help ensure the rich legacy of Kellyco will endure for generations to come. “We believe this group uniquely understands the nuances of our business and can carry on Stu’s legacy. We are proud to pass the mantle to these fine men,” said Carolyn Auerbach. Mollenhour Gross has already invested significant resources in Kellyco with the goal of improving operations, ensuring product availability, and delivering a world-class customer experience for decades to come. Along with a number of long-time employees, David Auerbach, the son of Kellyco founder, Stu Auerbach, will remain actively engaged as an advisor to Floyd. “Stu was a force of nature who drove Kellyco to incredible success over the years. His visionary leadership led Kellyco into selling the best products and taking care of our customers via the internet years before any of our competitors” said David. Established in 1955, Kellyco Metal Detectors has grown from founder Stu Auerbach selling metal detectors out of the back of his car to a full catalog, retail and ecommerce business. Kellyco has been the recipient of multiple awards for customer service and is one of the world's largest supplier of direct-to-customer metal detectors. Established in 2004 by Jordan Mollenhour and Dustin Gross, Mollenhour Gross is a private holding company based in Knoxville, TN. Its portfolio companies are engaged in a variety of industries, including online retail, hospitality services, warehousing, e-commerce fulfillment, packaging manufacturing, real estate, software, and more.